You can tell right away whether your stone or tile installation is visually appealing, but whether it is structurally sound may not be readily apparent until years down the line. A stone or tile installation without proper subsurface preparation will deteriorate prematurely with problems like cracks, hollow floors, and grout that falls out. How do you know if your stone or tile is being installed properly? Standard preventive measures must be taken to ensure correct subsurface preparation, including sanding or scraping the slab to completely remove paint or drywall mud. 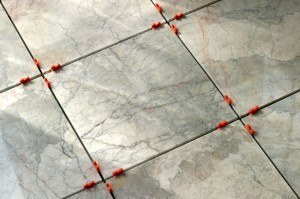 In addition, a crack suppression membrane or uncoupling mat should be applied between the slab and the stone or tile. The bottom line is, a quality installation employing proven techniques and precautions will result in a floor that you will be happy with for many years. If you are shopping price only, you may find yourself regretting it down the road, and you may actually end up paying more in the long run. This article is excerpted from “The Value of Quality Craftsmanship” by Jim Hartman, owner of Floorever, in Stone Advisory Magazine (Spring 2014). To see the full article, click here. , in Stone Advisory Magazine (Spring 2014). To see the full article, click here.